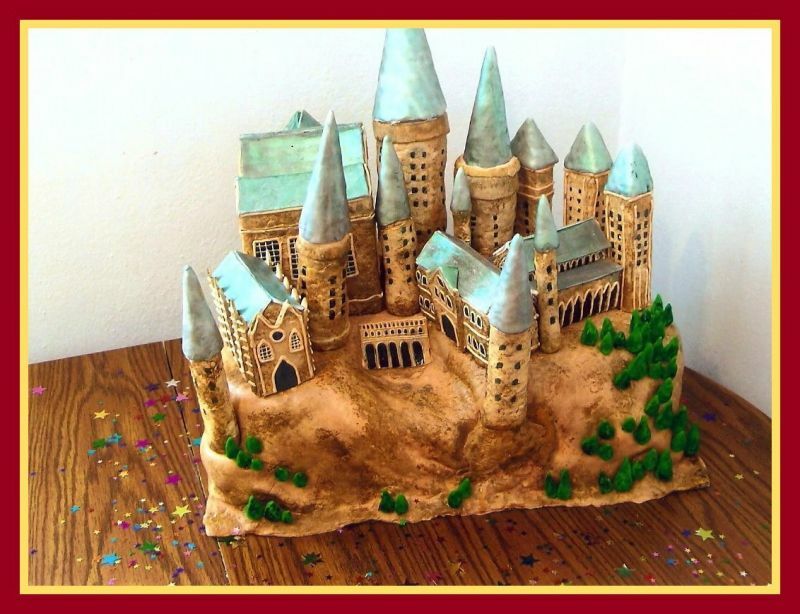 That house colors cake is INCREDIBLE! And I love Hagrids House. Actually I like them all - thanks for sharing! You had me tearing up all over again. 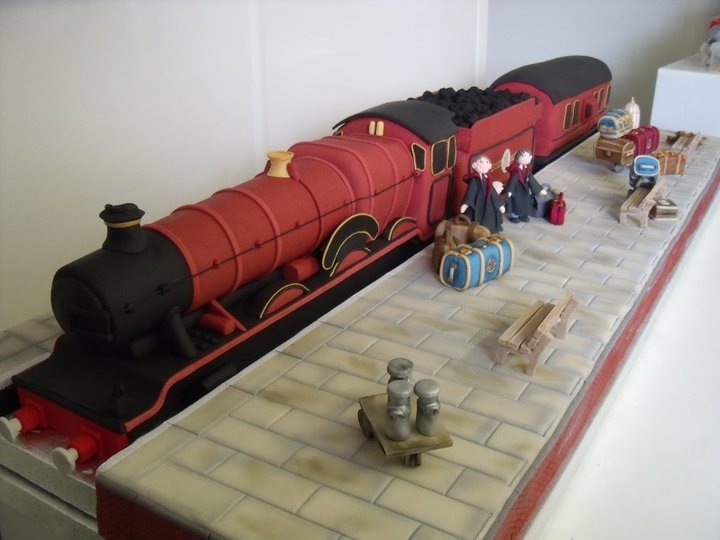 Wow, love the painted Hogwarts Express, I've never seen that done before; fantastic idea! They're all amazing, thanks for another great selection. 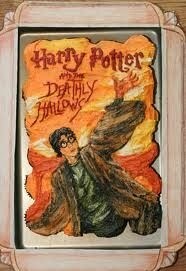 Has anyone ever done an Aragog cake? That would be awesome. Scary, yes, but awesome. I agree! 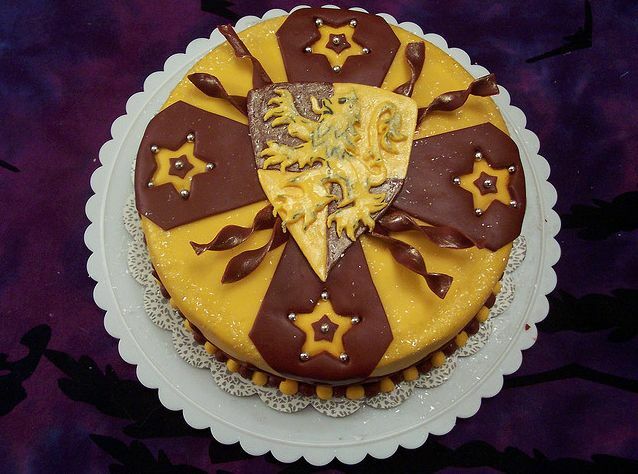 The house colors cake is beyond amazing! Wow!! I love them all. I'm suggesting SMURFS for the next Sunday Sweets. really amazing cakes, as always. particularly love the cupcakes (i am such a sucker) -- they are quite well done and really get the "icons" of the movie. 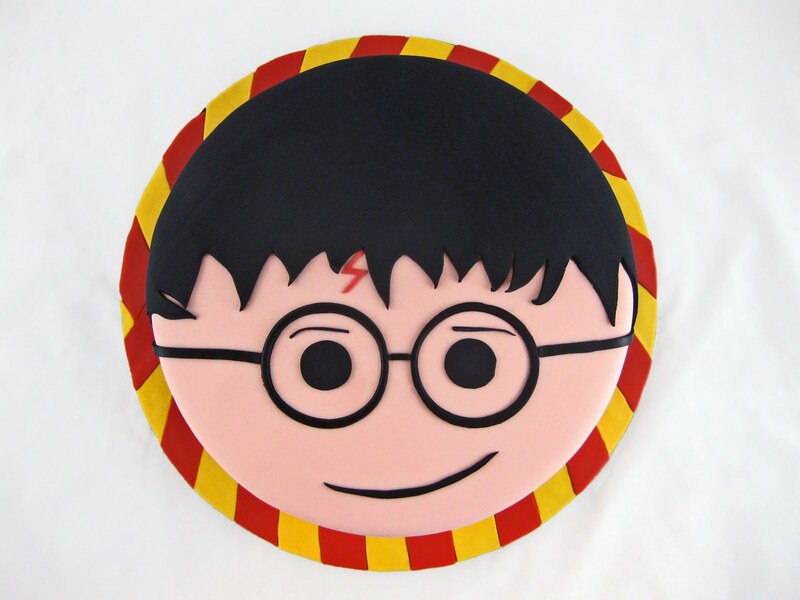 also love the big hp face w/ the striped scarf edge. 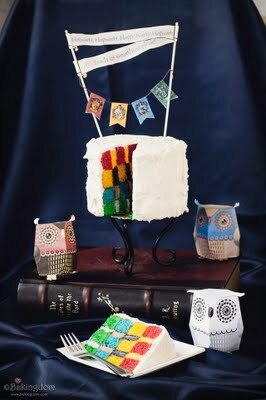 and the all-white cake with the multi-color interior is really fantastic! I am so making the house color page one day! It will happen. 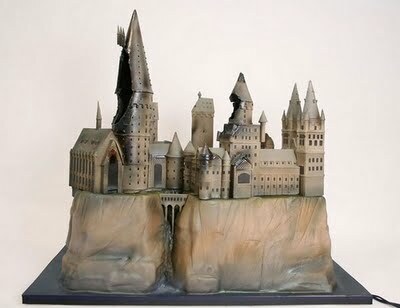 The last cake made me kinda sad though, it's kinda hard to see Hogwarts like that. While the topics on HP, have you seen any AVPM cakes? I doubt it, but it would be totally awesome! 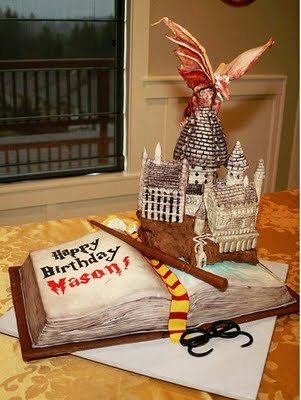 Wow these cakes are just awesome. Some of them I wouldn't want to eat since they're so incredible. The Harry one with the border that looks like his scarf is just adorable. The cake with all the house colors inside is just amazing. I'm just lucky if I can use a cake mix and not burn the cake. 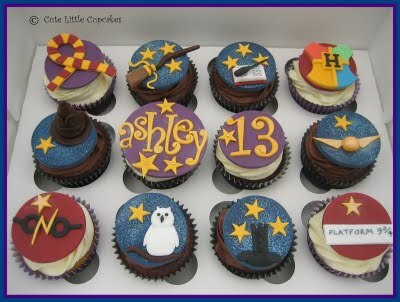 I really want those adorable cupcakes too. "checkerboard" type cakes were made. All the sweets were wonderful. 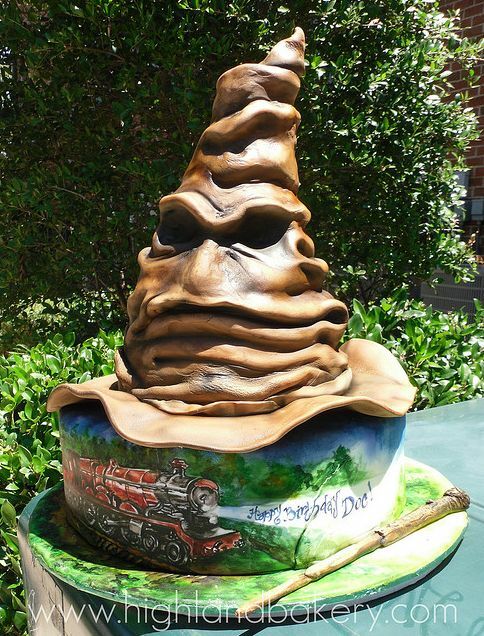 My fav, the Sorting Hat. Lovely! 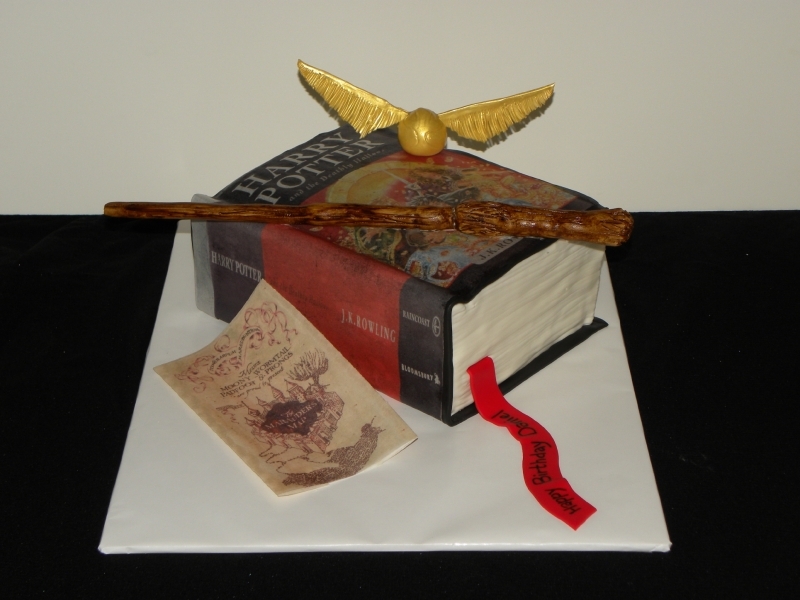 I don't know how people are able to eat these cakes - they're too beautiful to cut into. Wow. Some truly amazing artistry this week. It's my birthday next week. Just sayin'. Those were better than last week's even! Very cool house colors cake. Loved them all! These are all totally wicked and brilliant! Have you given much thought to making your own monster book of monsters? It looks like something you could replicate with an old textbook and some fake fur. And the ability to sew, which leaves me out, lol. Ahhh these have nearly made me forget the horrifying baby shower cakes. 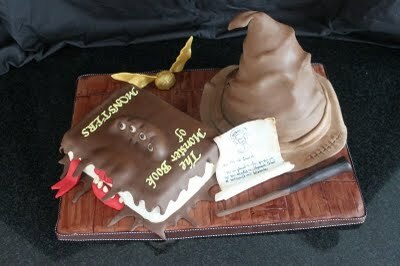 I want that cute sorting hat cake. Too darn cute. I got distracted by the words "chocolate truffle," but managed to make it through the post without busting my own eardrums with my high pitched squeals of glee. 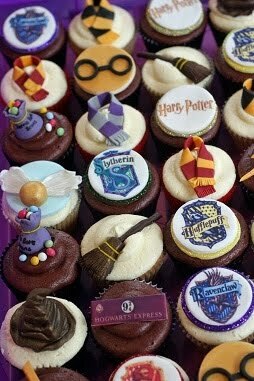 Brilliant cakes and cupcakes. I'd definitely buy my next cake from these bakers. 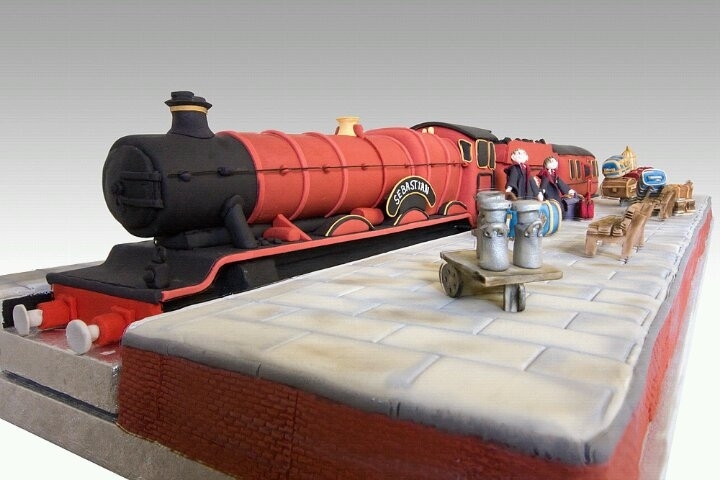 Those cakes are AMAZING!!! They barely look edible! I'll be SOOOOOOOOOOO happy when I can go to my favorite websites and blogs and Harry Potter will not be seen on any page. This Sorting Hat's the best of the lot....simply awesome! I kinda can't believe it, but this post made me cry! I know HP will be around forever, but man, I'm gonna miss it all the same! We went to see the movie at midnight last Thursday - both wanting to see it right away AND wanting to hold off, so it didn't end! WV: bawin I didn't expect it, but his post had me bawin'. 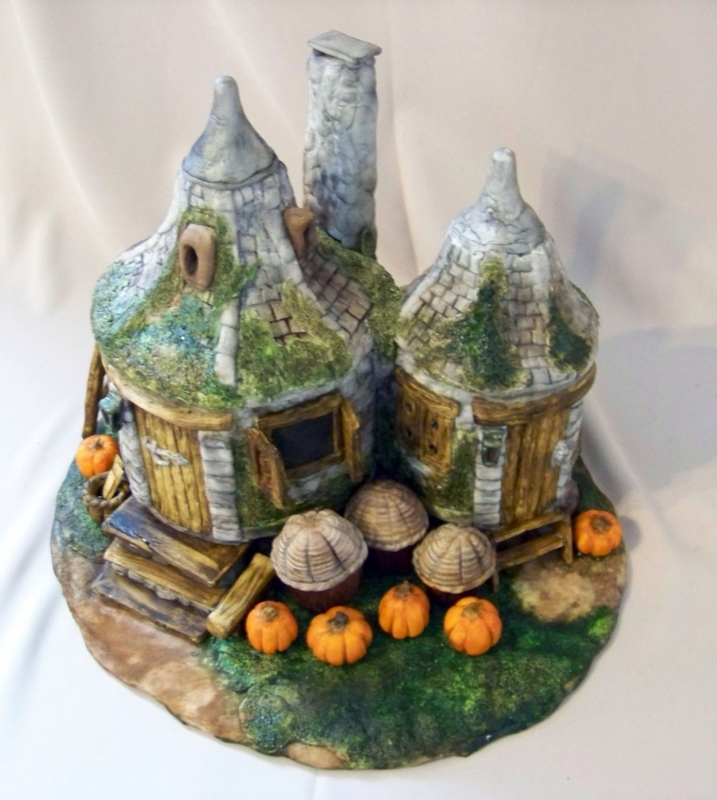 As a cake decorator, I have been following this for ages, enjoying every bit, and I just found your other blog !!! YOU ARE AMAZING !!! hey... that font IS pretty good. WV: scarin - Jen, your lightning pun is scarin' me! 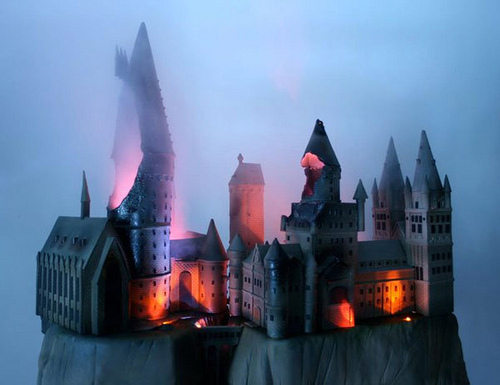 Or, the smoke on that castle is so convincing, it's scarin' the Muggles! I guess I'll be the only voice that does NOT like Harry Potter. I'm glad the series is over, I'm sick of hearing and seeing it everywhere I go. As well done as these cakes are....enough!! I'm a die hard HP fan. I love all of the cakes. I'm very sure Dumbledore would be greatly pleased with these cakes, greatly pleased indeed. It makes me wanna cry about the series finally coming to a close. Aw darn it!!! There should have been a spoiler alert for this post. I'm slow I know, but I didn't know about Hogwarts castle being involved in a battle until I read this post. NOOOO! These are works of art!!! What does it say about my Harry Potter obsession that the first thing I thought when I saw that adorable Harry Potter cake was that they got the eyes wrong? It's really cute, but really, Harry's eyes are green! 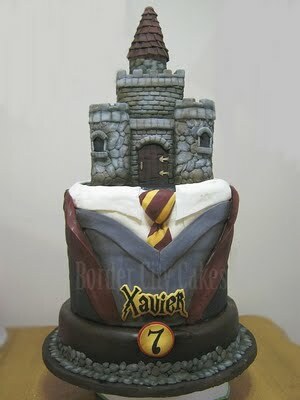 I am so making the house colors cake for my birthday. 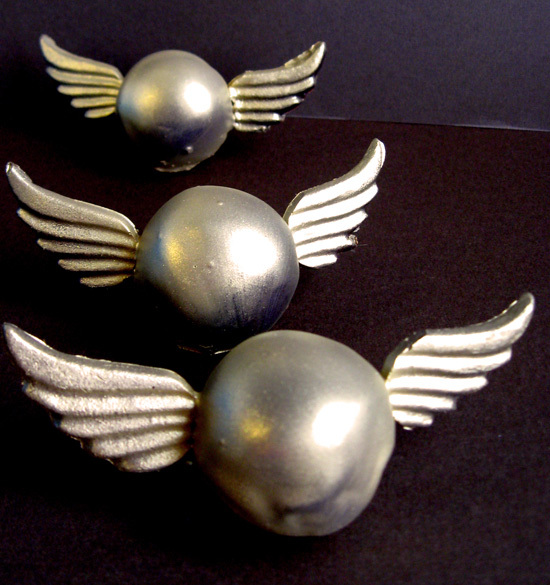 and possibly the snitch truffles, if i can get my hands on an airbrush. I AM HYPERVENTALATING!!! THIS IS WAY TOO AWESOME!! i'm a witch who will go to hogwarts next year. and i know i'll be in hufflepuff.